It's day 11 of #Blogtober17 and the theme today is Kitchens. 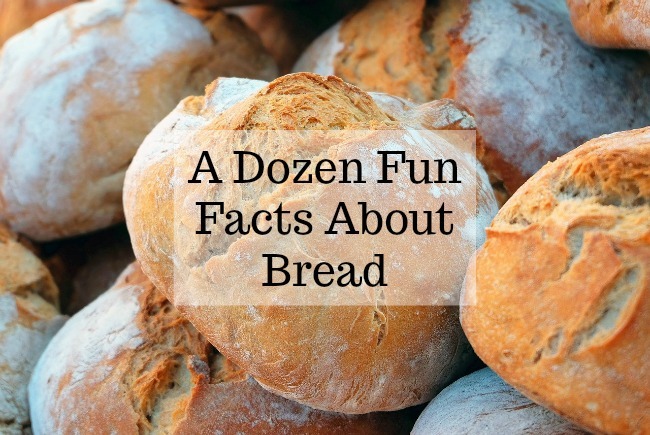 I did look for facts about kitchens but they were very dull so I thought I'd give you some fun facts about bread instead. 1. The word companion comes from the latin com - meaning with and panis which means bread. A companion is someone you share bread with. 2. The largest loaf of bread weighed 1,571 kg and was made by Joaquim Gonçalves in Curitiba, Paraná, Brazil, on 13 November 2008 in celebration of Guinness World Records Day. 3. Before the invention of the eraser, bread was used to remove pencil marks. 4. Penicillin is a mould found on bread (and fruit). Infected wounds were traditionally treated by rubbing mouldy bread on them. 5. A superstition is that if you put a piece of bread in a baby's cradle it will keep away disease. 7. In the UK, 32 per cent of bread is thrown away. 8. It is supposed to be bad luck to turn a loaf of bread upside down or cut an unbaked loaf. 10. The use of dough in English as slang for money dates back only to 1851. 11. The Great Fire of London in 1666 reportedly was started by a baker. 12. The inner part of bread (incased in the crust) is called the crumb, small pieces of this are called crumbs. 13. Bakers would be fined if their loaves were underweight so they added an extra loaf to each dozen. A Bakers Dozen. How interesting....I didn't know most of this about bread.